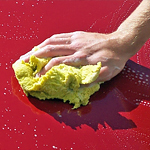 Regular Car Washes Produce Practical Benefits, and More! Buying a new car is a fun experience. It's an exciting moment that you should enjoy for as long as you possibly can! While you're continuing to get familiar with your new car, Ferrari of Atlanta wants to remind you - don't forget about the maintenance! While you should ensure you have a regular maintenance schedule to keep your car operating at a peak level, make sure that you also keep the exterior looking its best too.